Hyderabad: With the hunting down of tigress T1 aka Avni in Maharashtra turning into a huge controversy, the Maharashtra government on Friday constituted a four-member committee to probe whether guidelines/procedures given in the standard operating procedure were followed in the entire case. This committee comes close on the heels of a three-member committee set up by the National Tiger Conservation Authority, “to inquire into the final operation” carried out by the State of Maharashtra “in eliminating tiger T-1 in Pandharkawda.” The NTCA committee comprises OP Kaler, Additional Principal Chief Conservator of Forests (retd), Jose Louies, Deputy Director and Chief, Wildlife Control Division and Communication, Wildlife Trust of India and Hemant Kamdi , Additional Inspector General of Forests (NTCA) regional office, Nagpur. The Maharashtra team, appointed by State Forest Minister Sudhir Mungantiwar comprises SH Patil, PCCF, Bilal, representative of Wildlife Institute of India, Anish Andheria, president, Wildlife Conservation Trust and Nitin Kakodkar APPCF. Both the committees are expected to investigate what happened on the night of Nov 2 when Avni was shot dead by city-based hunter Asghar Ali Khan near Borati village in Pandharkawda forest area. However, wildlife experts have expressed surprise that the Maharashtra government, which has been under fire over the killing of the tigress from wildlife experts, conservationists as well as from Union Minister Maneka Gandhi, did not include a single veterinarian, forensic expert, ballistic expert or a psychologist in the committee that is expected to interview all those involved in the operation that ended up with the killing of the tigress. Unless these areas of expertise are included, wildlife experts and some conservationists fear that it would whitewash the entire investigation to protect its officials and those involved in the final operation that killed Avni. Hyderabad: The Veterinary Council of India on Friday asked its Maharashtra chapter to investigate the breach of Indian Veterinary Council Act 1984, and the Drugs and Cosmetics Act 1945 and Narcotic and Psychotropic Substances Act1985 with respect to orders issued by the Maharashtra Forest Department on tracking and the ultimate hunting down of tigress Avni. The VCI said no person other than a licensed veterinary practitioner is allowed to practice veterinary medicine. 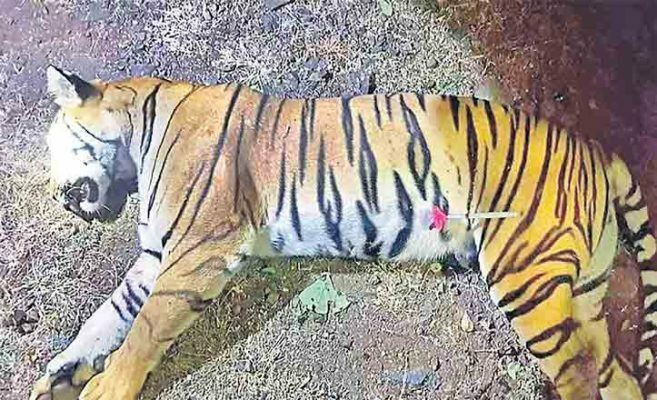 Questions were raised earlier by wildlife veterinarians as to how people contracted by the Maharashtra Forest Department to track/hunt the tigress were allowed to carry banned drugs such as Xylazine and Ketamine, which together were ultimately used in a dart that was found stuck into the tigress’ body after it was shot dead. The VCI letter said it also received information on possible violations of these Acts from Union Minister Maneka Gandhi.